Epic Theatre Company’s summer of satire is underway, and insanely ironic if you read our piece on James Franco and Me. The second installment in the summer rep shows is an original offering by Kevin Broccoli titled Dorothy, Rose, Sophia, and Blanche. Let’s begin with this rockstar cast. This show was destined to have a rockstar cast with Kate Lester at the helm. This ensemble cast features (in no particular order) Mary V. Case as Rose, who did a stellar job throughout, however, for the podcast scene, she had me laughing so hard in my seat I feel I should issue an apology to anyone who sat near me! I am not being hyperbolic here; my sides ached after that scene. Mary Paolino played Blanche, in a role she clearly was meant to play! Megan Ruggiero played Sophia, who sometimes was in her late 30s and channeling her best Estelle Getty! Michelle L. Walker was Dorothy in a performance that I truly did not want to end. She was absolutely fabulous. These women really are a dream team cast. Rounding out this dream of a cast as the lone man is Michael Shallcross, Epic’s production manager. Shallcross never disappoints, and he does a lovely job in this production. Lester’s direction was spot on, and she did a masterful job with the piece and the five talented performers. Art, and theater in particular, is so amazing because it can really hit home. It is by far the art that speaks to me the most as those real life connections can be found instantly. We view a piece of theater with a little influence of what else is happening in our lives. As a woman, there were a lot of connections to be made. This satire doesn’t have a complete narrative flow, but a thematic one. That is not said in any way to discourage you from seeing the show; in fact, I feel that it makes this a stronger piece because of all the themes and issues Broccoli is able to touch upon. At times you’re nostalgic, at times you’re shaking your head in solidarity, and in my case, at times you’re holding your side in joyful pain! This was a totally enjoyable evening of theater. 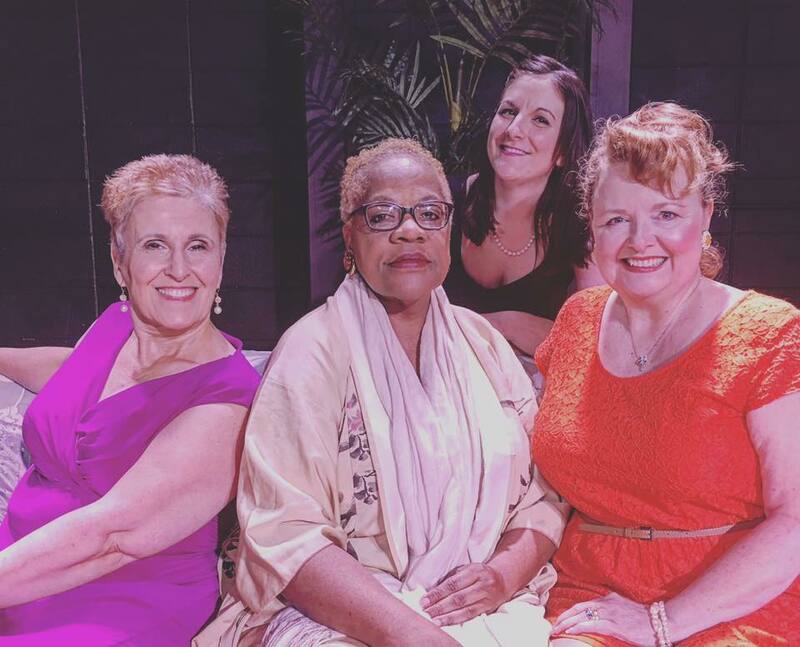 Dorothy, Rose, Sophia, and Blanche plays in rep with 3C until August 26 in Academy Players’ space on Buttonhole Drive, PVD.